I created Candy Land in 1993 with only a handful of children in my home in West Seneca, NY. I wanted to find a way to be home with my own children without compromising our family income. I was working as an RN at a local hospital but was stuck on a 3-11 shift and only saw my children in the mornings to put them on the bus for school. Although opening Candy Land and giving up my job as a nurse was not financially rewarding, it was the best decision of my life. The rewards of educating young children and being there for families has brought me great joy and the highest sense of accomplishment. As word spread about the excellent child care they were receiving at Candy Land, I opened a second family day care on Orchard Park Road in 2003 to accommodate more families. 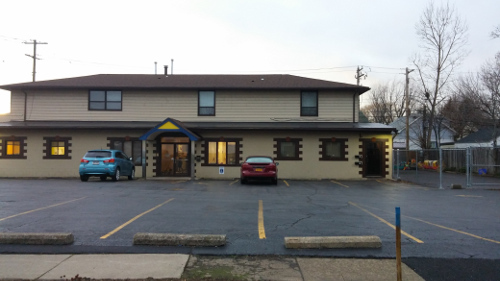 In 2014, with an even greater demand for our service, I merged the two family day cares and we moved into 14 Center Road (West Seneca) and became a Day Care Center! Although Candy Land has grown, I with the help of a fantastic staff, have managed to keep the same family values that have given Candy Land it’s success and it’s pride!